For a beautiful addition to your wardrobe, be sure to pick up the ML Monique Lhuillier™ Multicolored Lace Blouse. Three-quarter sleeves with stretch cuff. 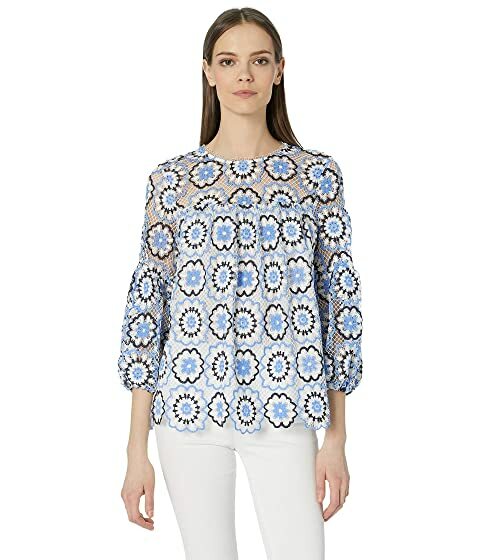 We can't currently find any similar items for the Multicolored Lace Blouse by ML Monique Lhuillier. Sorry!